Renault just shared the following on its Facebook page about Twizy Renault Sport F1. 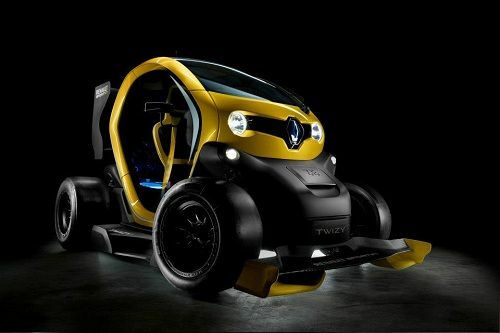 "Improbable and spectacular, here is Twizy Renault Sport F1! This fun take on the brand’s small electric car features muscular styling and impressive performance credentials to serve as a bridge between the world of F1 technology and that of production cars. Do you like it?" Will the Renault Eolab – a 282 MPG hatchback of the future – make it to the U.S.? Nissan may outsource batteries to LG Chem – what does it mean for Leaf?